The Gill reproofing spray restores the water, oil, salt and stain repellent finish of your garment. 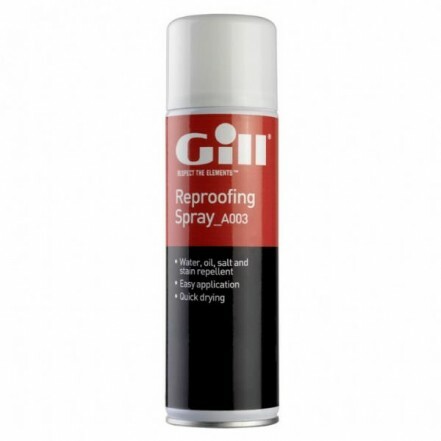 Gill reproofing spray can be apply to any fabric to quickly produce a water, oil, salt and stain repellent finish. Shake the can and spray evenly from a distance of 10-15cm. Apply to clean, dry fabric.